Two new non-native species of mosquito have been found in California, and health officials are warning the public to take necessary steps to safeguard their families. The mosquitoes in question are the Aedes aegypti, or yellow fever mosquito, and the Aeges albopictus, or Asian tiger mosquito. Both species are known to carry infectious diseases that can be dangerous to the public. While the risks associated with these mosquitoes is still rather low, it is still imperative that precautions are taken to limit their spread. Both species, which can be identified by a distinct black and white striped pattern on their legs and thorax, are also more aggressive than typical mosquitoes, heightening the danger. They carry infectious diseases such as the dengue fever, chikungunya and yellow fever. Neither chikungunya or dengue fever have any treatment or vaccine. Most recently they have turned up in 10 of California’s 58 counties. The typical California mosquito will become most active at dusk and dawn, but the two new species to be on the lookout for will often stay active throughout the day. They will also readily enter buildings. Apply mosquito repellents to your skin when you plan to be outside. Effective deterrents need to include DEET, picaridin, IR3535, and/or oil of lemon eucalyptus to both clothing and skin. 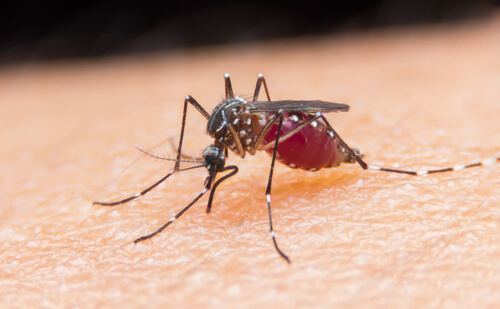 You should wear long-sleeved clothing, long pants, socks and shoes during the times when mosquitoes are most active. Make use of air conditioning to cool your home or business; eschew open windows or doors that could allow mosquitoes entrance. Eliminate potential mosquito-breeding grounds, such as any source of standing water. These species need only a teaspoon of standing water to lay eggs. At the Benefits Store, we know that keeping your family happy and healthy involves a large measure of prevention. Keeping you informed on the latest health news and information helps us all take better care of one another. A recent study conducted by the California Department of Public Health (CDPH) has confirmed the effectiveness of prenatal vaccination in the prevention of whooping cough. The CDPH studied 690 infants in the state of California who were infected with the disease and found that infants whose mothers received a prenatal vaccination for whooping cough had a significantly lower rate of hospitalization and admittance to the ICU. Additionally, no deaths were reported among these infants. The results of this study come on the heels of a state-wide whooping cough epidemic in 2014, and continued above-average rates of infection. The Prenatal vaccination for whooping cough is recommended by the Centers for Disease Control and Prevention (CDC) for all expectant mothers. In the past, the CDC recommended the vaccine was only given to mothers who had not previously been vaccinated. Studies such as the one conducted by the CDPH are responsible for this change, making it clear that a simple vaccination can potentially save the lives of thousands of infants. Pregnant women should be given the vaccine during the third trimester, starting at 27 weeks. Exposure to the vaccine will cause the mother’s body to produce the necessary antibodies to fight off the disease, while also passing off some of these antibodies to the unborn child. These antibodies will then provide crucial early life protection against the disease until the child receives additional vaccinations at two months. While the vaccination may not prevent the disease itself, the antibodies will provide protection from more serious complications and significantly reduce the child’s risk of death. A whooping cough vaccination can be given at vaccination clinics, doctor’s offices, and pharmacies. Providing adequate health care to both mother and baby during the course of the pregnancy is vital to the lifelong health of the child. For more information on this and other important medical and insurance issues, contact The Benefits Store today. Though it may be pretty cool to wear decorative contact lenses as part of a costume, to show support for your favorite sports team or just for something different, there can be some serious risks associated with non-prescription contact lenses. There are a host of problems that wearing these unregulated lenses can cause. The biggest problem with unregulated colored contacts is that folks who do not normally wear contact lenses do not know how to properly care for them. Because of this, they may not be cleaned correctly, and when this happens, dirt and germs get in the eye when the lenses are inserted. This can cause some pretty severe infections, and if even microscopic particles get between the contacts and your eye, they can scratch the surface of your eye. It is not unheard of for people to have severe damage to the cornea which can cause pain and even blindness. There is also an issue with the legality of non-prescribed contact lenses. 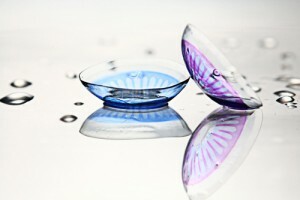 As of 2005, it is illegal for anyone to sell contact lenses to a customer without a prescription. This hasn’t stopped greedy retailers from continuing to offer them for sale however. They are also available online, but they have been made illegal for a reason. If you want to wear colored contacts, the only way you should go about getting the product is to see an optometrist and get an actual prescription. You do not need to have corrective lenses; the eye doctor will just want to make sure that you will be fitted with a pair that will correctly fit your eye. This will also allow you to eliminate the possibility of getting an improperly manufactured pair from an unlicensed seller that could cause you pain and even blindness. If you have any questions regarding vision insurance, or whether colored contacts will be covered under your plan, please contact The Benefits Store and we’ll be happy to help you. Assurant Leaving California? What You Need to Know! Assurant leaving California? In less than a year, Californians will have one less option when it comes to health insurance. Assurant, the large insurance company that caters to businesses, employees and homeowners, is about to get out of the health insurance business. The announcement was made in May 2015, but its impact is just beginning to be felt by tens of thousands of people in California who relied on Assurant Health for medical, dental and vision coverage. Today, people previously covered by Assurant Health are looking for other insurance options—and finding that there are a lot of questions to be answered. Assurant isn’t exclusively calling it quits in California. The company is actually doing away with its entire health insurance operation. According to media reports about the decision, Assurant decided to shutter its health insurance unit because it was losing incredible amounts of money, including between $80 and $90 million in the first quarter of 2015. Depending on when payments are made and when a plan will be terminated, consumers may be eligible for a rebate from Assurant. According to the company, rebates are based on customers’ 2014 coverage. Assurant is encouraging all customers with questions about their coverage to contact their representatives. People with HSAs through Assurant will continue to own the funds—but they will need to appoint a new custodian. Anyone who has questions about HSAs is encouraged to call 1-800-800-1212, ext. 8886, to speak with an Assurant representative. Luckily, California is home to an array of companies that offer medical, dental and vision insurance to people in all stages of their lives. Unfortunately, understanding the Affordable Care Act and how it affects which type of health insurance coverage is right for individuals and families in California can be confusing. For help understanding all of the insurance options available in California, contact the experts at the Benefits Store today. California prosecutors have charged 15 people, including a doctor, following a 5-year investigation. 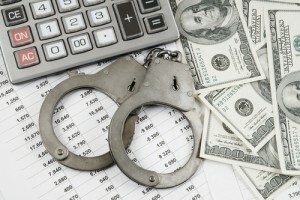 The charges against them involve the fraudulent billing of around $150 million from insurers. The Los Angeles District Attorney’s Office is calling it one of the biggest insurance fraud scams the state has ever seen. The charges involve two indictments in which a number of individuals, including attorneys, referred patients to the medical clinics that were run by Munir Uwaydah, a physician. In exchange, these individuals were paid upwards of $15,000 a month. Uwaydah documented evaluations at these clinics that never actually happened and his staff justified surgeries that were performed by falsifying records. Additionally, these surgeries were performed by a physician’s assistant who had never attended medical school. Nor were any of the surgeries overseen by an actual surgeon. As many as two dozen patients that had these surgeries performed on them now have lasting scars—and many of these patients have had to undergo additional surgical procedures in order to repair damage caused by the initial surgeries. Those charged in the case, including Uwaydah, are facing 132 felony charges. Uwaydah is currently awaiting extradition in Germany while 11 of the other individuals charged have plead not guilty to the charges. The felony charges include aggravated mayhem and capping, insurance fraud and conspiracy. 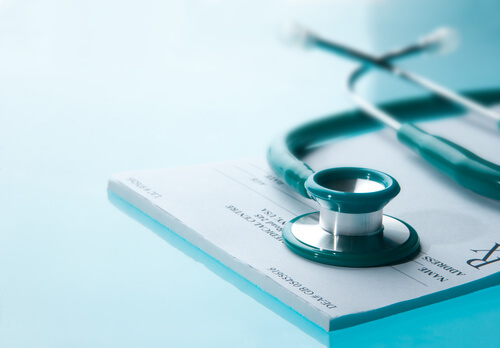 One of the physicians working for Uwaydah, David Johnson, has been charged with overbilling insurance companies for medical exams that were never performed as well as for prescription drugs. Several others have been charged for falsifying documents that are related to the case. Uwaydah had his license cancelled in 2013 due to a case brought against him by the California Medical Board back in 2009. He has also been charged in a separate indictment for illegal patient referrals, filing false tax returns, laundering money and for conspiring to commit insurance fraud. Uwaydah and 11 of the others that have been charged could face life in prison if they are convicted. We want to keep you informed of important medical and insurance issues as they occur. Please Contact The Benefits Store for Prompt, Professional Service for all California Medical Plans.